The place was a sharp contrast to what I had experienced over the past three days, trekking through the Southern Highlands of Iceland. 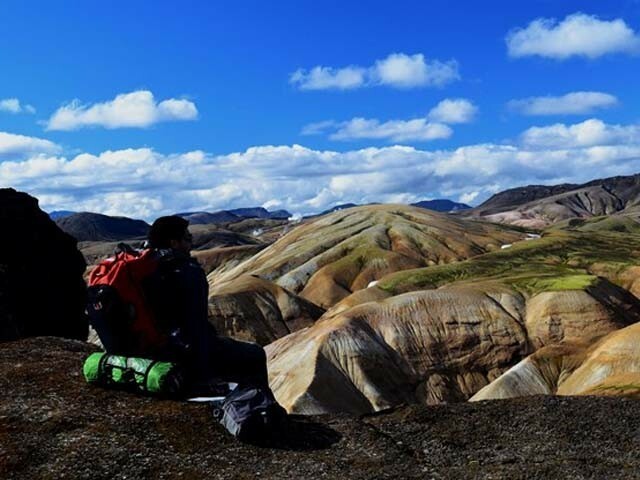 I had traversed through 30 kilometres of landscape made of black volcanic ash with little vegetation but fragile moss, rainbow-coloured rhyolite hills that belched sulphurous steam, dark clouds hovering low and foreboding a rainstorm at every moment, and no signs of life but the occasional audacious hiker. 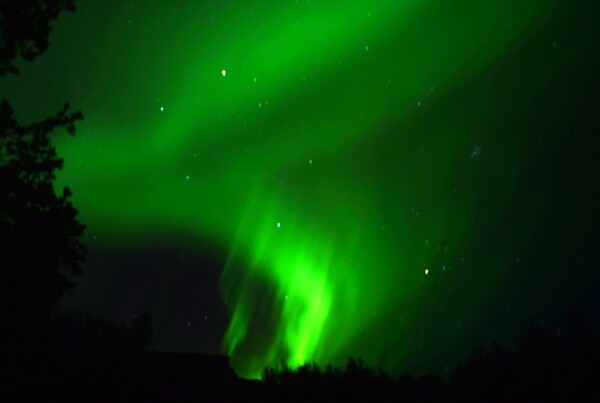 The daytime scenery was the most incredible I have seen in my travels through the European Alps and highlands, but it was the much famed night-time spectacle that I longed to witness. 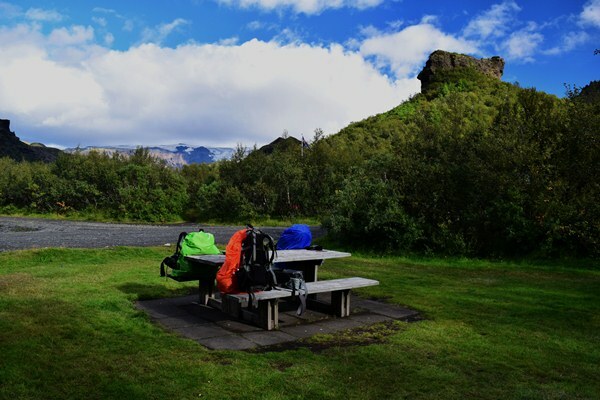 After traversing through plains covered with snow and wading through waist-deep rivers in the wilderness, I was camping in the relatively more accessible and tourist-friendly area of Thorsmork. There was a beautiful camping site with showers that lasted a measly four minutes before the water deserted you. It had a lush green camping ground as opposed to hard lava rocks. There were small sites to pitch tents separated by shrubs and even trees – the first I had seen in four days; and there was a bench that served as a make-shift kitchen to cook the dried and packaged food I had been carrying on my overwhelmed back. It was my ninth night, over two successive years, camping in the wild inside the Arctic Circle. On each of those occasions, I had kept watch over the night skies looking for the elusive northern lights with no success. The scientific name for northern lights is Aurora Borealis. 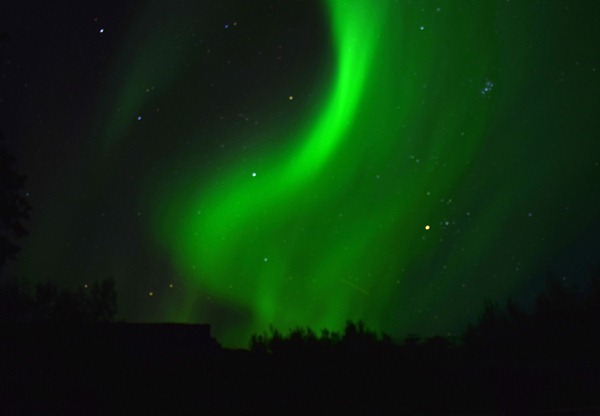 They are commonly known as northern lights because they are typically seen in the regions near the North Pole. Last year, I had taken to the northern-most parts of Sweden to witness them, but I it was too early in the autumn season and the sky didn’t get dark enough during the night to provide a good viewing opportunity. This year, I planned my trip late in the trekking season in order to have darker nights, but luck had deserted me so far. I spent my first night floating in the hot springs of Landmannalaugar. There were people in the hot spring that had the same idea, struggling to strike a balance between the sub-zero air temperature and boiling water from the spring. There was a lot of talk of the northern lights, affirming that it was not improbable to see them that night and legends of people they knew who had seen them recently. We kept a careful watch at the clear skies, scanning for any signs of unusual light, but all we saw was hordes of stars around the Milky Way stretching across the horizon – how disappointing. The weather turned for the worse over the next two days as the sky remain covered with dark clouds. The optimist in me dared to take a peek out of the tent during the night, but was slapped with a punishing mix of rain and gale winds. 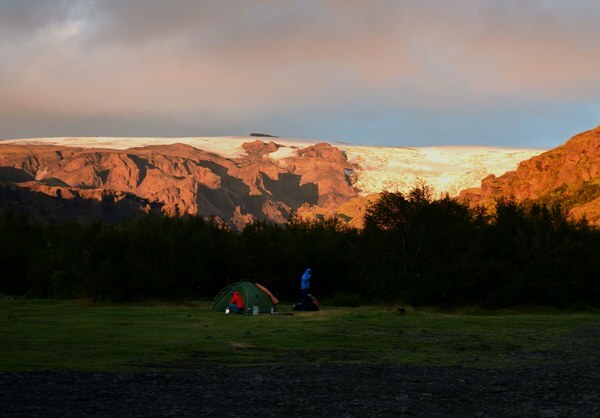 It was now my last night camping in the highlands of Southern Iceland. The clouds had cleared by the evening, and the arctic winds had finally come to a standstill. There was a distinct serenity to the place – a sense of calm before the storm. The local warden at the campsite theorised that the sub-zero temperature forecast for the night made it more likely to see the lights. Northern lights form when charged particles from the sun collide with the air in the Earth’s atmosphere, releasing energy that can be seen as a glow across the sky. I could not see any reason why cold temperatures would be relevant, but the clear sky encourage me to hold a vigil into the night. It was the coldest night of the trip. It proved impossible to sit out in the open without lighting a fire, and there was no wood to light one. So, I set up my camp and left the front porch of my tent open, with a view of the horizon with some trees and a mountain marking the lower end of the open skies. I got inside my warm sleeping bag, and decided to wait till midnight – that is when the sky got dark enough to be able to view the lights. I fell asleep long before midnight. A cold breeze from the tent opening woke me up around midnight – still nothing in the skies. Hope gave way to exhaustion and I decided to go to sleep. Just as I was closing the zipper of my tent, I noticed a faint grey area in horizon. As I concluded that I was imagining things in my desperate desire to see the lights, the faint grey area started turning green. It kept turning brighter, until disbelief turned into delight. Huge vertical beams of green light ascended from behind a drop in a cliff and shot up straight through the sky. I went for the camera, with my hands shaking. They had been shaking all night from the cold; but among the plethora of elements that went through me at that moment, it wasn’t the cold of the night that stirred a tingling sensation through my body. It is easy understate northern lights as a green light in the sky. In reality, they are much more. They move around, forming various patterns, swirling and dancing in the skies. They contrast from smooth layers of velvet covering the sky to crisp beams of light cutting across. They keep altering shapes and positions across the sky – from encompassing the breadth of the sky in soft patterns to dominating an obscure corner with sharp intensity. It was nothing less than a three-dimensional light show on a cosmic scale, and nature had granted me a front seat. 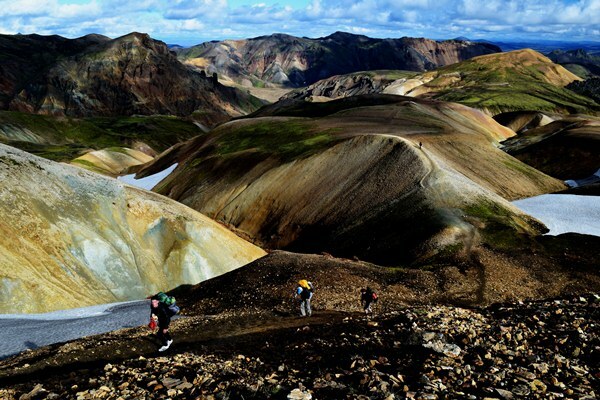 Side note: Laugavegurinn trail is a five-day trail (including Fimmvörðuháls Pass) across the highlands in Southern Iceland that has been categorised as one of 20 best hikes around the world by National Geographic. 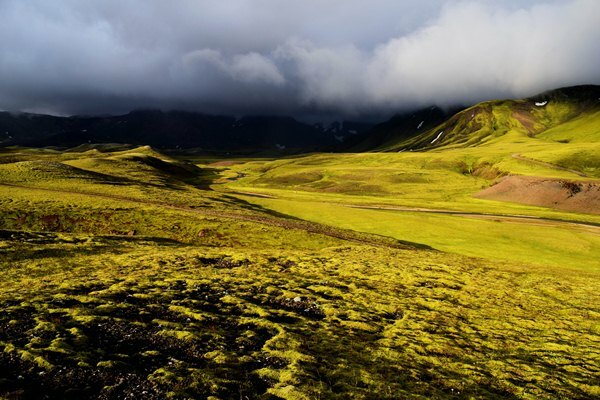 It is located less than 100 miles away from the capital city of Reykjavik and can be traversed between June and September. The best places to see northern lights are the northern-most regions of Scandinavia, Canada and Russia and the islands of Iceland and Greenland. The best time to go is the winter months when it is dark near the North Pole. The writer is a LUMS graduate and currently performs his serfdom in London as a consultant in financial services. He likes to wander around in his few days of freedom. It would be great, that we get a itenerary account of all of this now! !